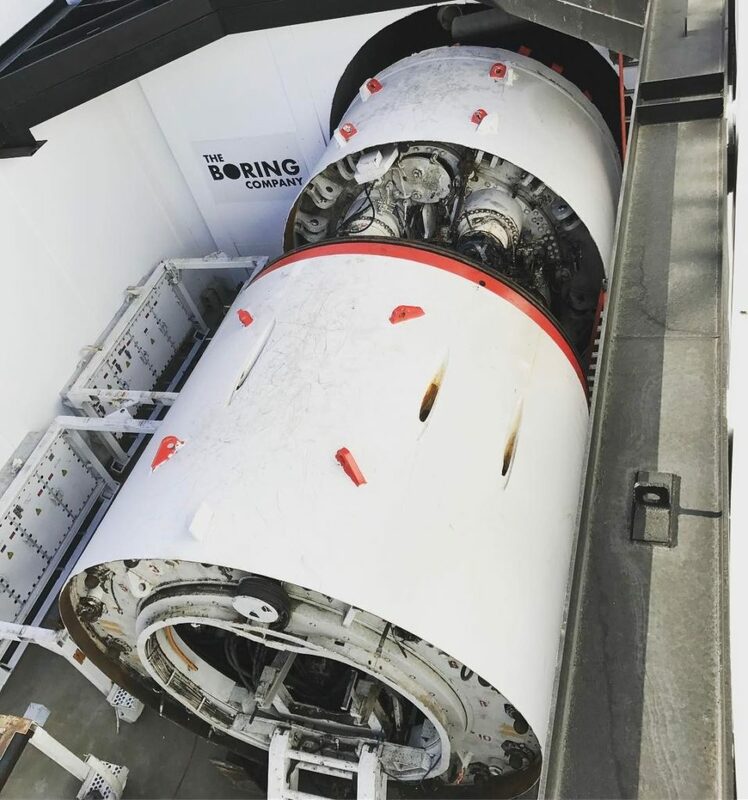 Looks like things are moving faster than expected at Elon Musk’s ‘The Boring Company’ as He releases several photos of the first Boring Machine at work takes us inside the first tunnel. 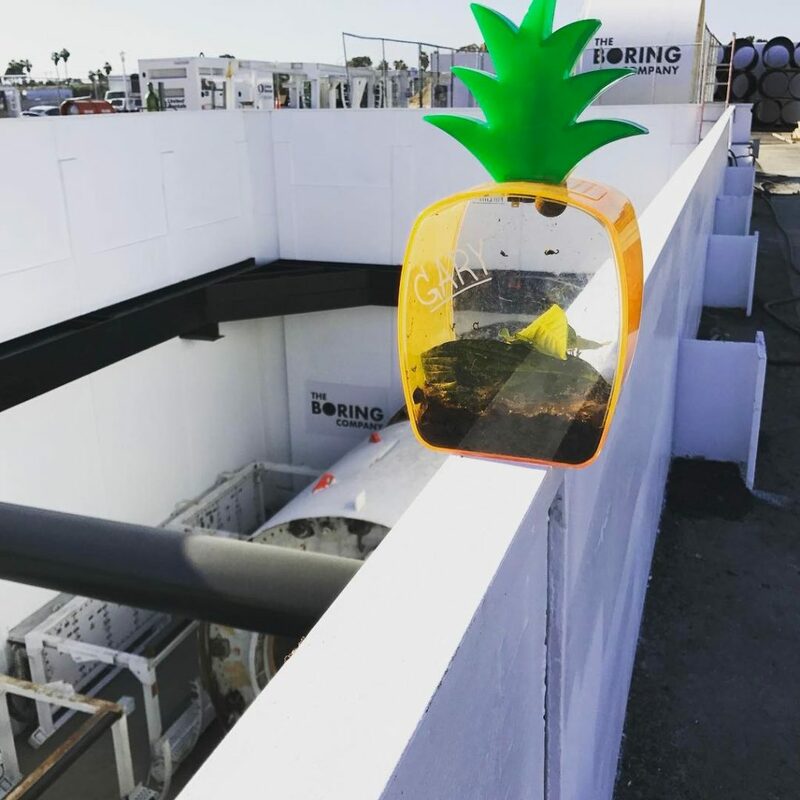 The Boring Company got the delivery of their first Boring Machine last month and Elon Musk even asked the fans to suggest the names earlier this week. With the theme being Poems and Plays the finalized name is Godot from the play ‘Waiting for Godot’ by Samuel Beckett. Elon Musk gives us first look of Godot’s cutter head in action (see video below). As Elon Musk said at TED, He wants to speed up the boring from 300 feet a week to 1 miles a week and this can be achieved by shortening the diameter of the tunnels. 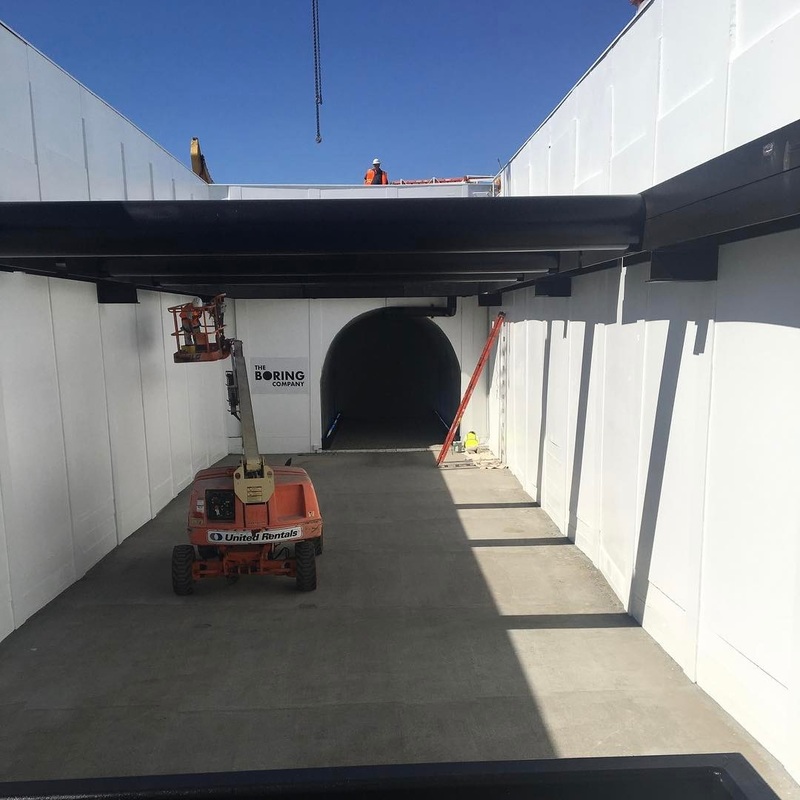 Also the cars won’t be driving inside the tunnels by themselves, they will be transported to fixed exit points by super fast electric sleds to reduce the travel time significantly. So it’s time to see the first electric sled in action, similar to the ones that we saw in the Boring Company’s first concept video presented at TED 2017. Elon Musk warns us that looking at this video may cause motion sickness or seizures, let’s have a look. LA’s future transport is Tunnels and very fast ones !